When credit card companies write off debt, they report uncollected monies to the IRS as lost income. Most credit card companies turn over delinquent accounts to collection agencies after 6 months of non-payment. Writing off your debt by not making regular payments should be considered a last resort, as your credit report will be affected negatively. Settling with the credit card company can help preserve your credit score and allow you to repay some or all of the debt. Keep in mind the pros and cons when considering writing off debt. Pros include no additional late or overage fees, the ability to negotiate low settlements with collections agencies, and no tax may be owed on credit card balance. Cons include lowered credit scores, loss of credit card privileges and harassment from collection agencies. 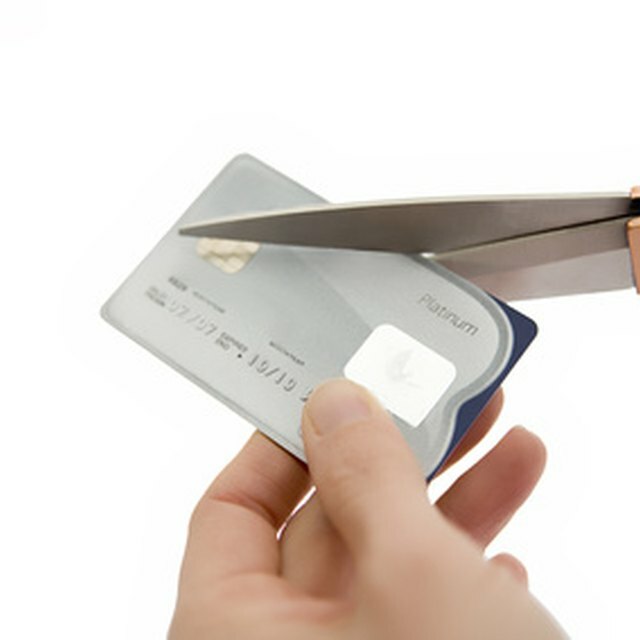 Before writing off debt, contact the credit card company to see if they will work with you. Many companies will lower monthly payments, lower interest rates or reduce monthly fees. Print out credit card statements for the last 6 months. If you've recently lost your job or can't pay your bills due to an injury or other medical issue, gather layoff notices, unemployment information, medical bills and other documentation to prove your inability to pay the credit card balance in full. Obtain a copy of your credit report. If you've maintained good credit, you may be able to negotiate a lower settlement with credit card companies. Negotiate with the collection agency to get the lowest settlement possible if the credit card company turns your account over to them. Depending on your circumstances, you may not owe any money. Ask for negotiated settlements in writing and retain them for your records. Check your credit report every 6 months to ensure that the settlement was recorded properly. Report any discrepancies immediately. It may take up to 7 years for bad debt to be removed from your credit report. This could affect future loans, job prospects and educational loans.